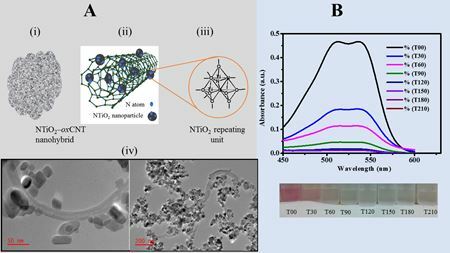 N-doped titania photocatalysts on oxidised carbon nanotube support show different properties and performance depending on the synthesis route that is used. 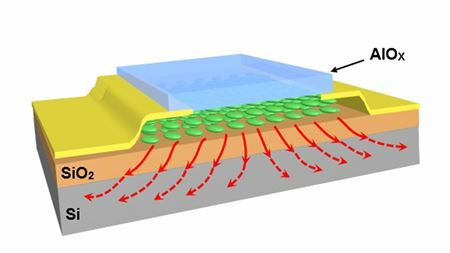 Sandwiching 2D materials between 3D silicon bases and an ultrathin layer of aluminum oxide can reduce the risk of overheating in nanoelectronics. Adding a single layer of graphene on top of metal leaves being used for a coating process known as gilding doubles the protective quality. Scientists have verified a key prediction from a 55-year-old theory about how electrons move through one-dimensional nanotubes and nanowires. Network of isolated, individual carbon nanotubes could be ideal transparent conductive films for touch screens, smart windows, and photovoltaic cells. Precision-synthsized porous graphene is transformed into a semiconductor and the most efficient filter. Nanoscale diamond needles can bend and deform reversibly, like bristles on a brush, before breaking. Scientists have developed a new electron microscopy method that allows them to observe the crystallization process for 2D materials.